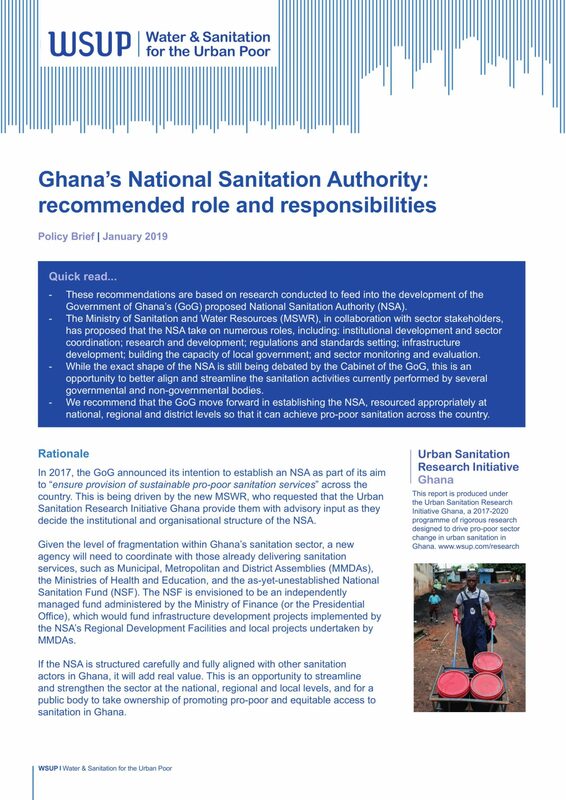 This Policy Brief provides recommendations based on research conducted to feed into the development of the Government of Ghana’s proposed National Sanitation Authority. 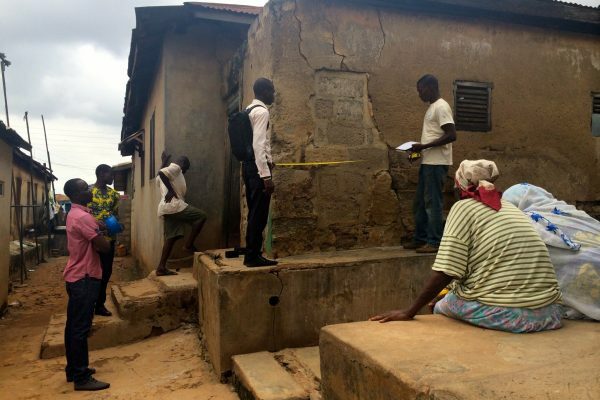 While the exact shape of the NSA is still being debated by the Cabinet of the GoG, this is an opportunity to better align and streamline the sanitation activities currently performed by several governmental and non-governmental bodies. We recommend that the GoG move forward in establishing the NSA, resourced appropriately at national, regional and district levels so that it can achieve pro-poor sanitation across the country. This research was led by IMC Worldwide; an earlier review of international comparative models can be found here.